The BRDC has been trying to sell Silverstone for the past five years and it isn't surprising since the circuit made a £2.2m operating loss in 2012 and lost a further £1m the previous year. This is the asset that the BRDC has been left with as a result of the sale falling through. "God only knows what is going on at Silverstone, it's quite incredible. This is the BRDC. That's the problem," says Ecclestone. "Who knows whether the race is at risk. We have come to an arrangement with them. I'm happy with that." 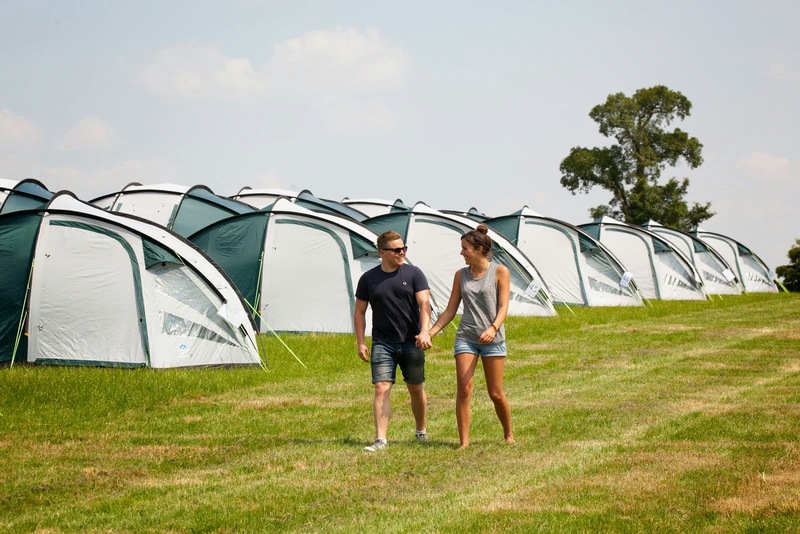 Last year it was revealed that the BRDC had agreed to a sale and this was subsequently confirmed when it was announced that the property group MEPC had paid £32m for a 999-year lease on 280 acres of land surrounding the circuit. Instead of putting the money in the bank, the BRDC used it to pay back loans. The debt was taken out to fund construction of the new pit and paddock complex which opened in 2011 and helped Silverstone land a 17-year contract to host the British Grand Prix. In other words, the sale to MEPC put the BRDC back on an even keel. Now it has to pay the fee for this year's British Grand Prix as the prospectus for the stalled stock market flotation of F1 states that race "fees are often due three months before the Event." That is around now since the British Grand Prix will take place on 6 July. The fee comes to around £13.7m and rises by 5% annually which is the special "arrangement" Ecclestone referred to. In contrast, most circuit fees increase by 10% annually and new races pay nearly three times as much as Silverstone. 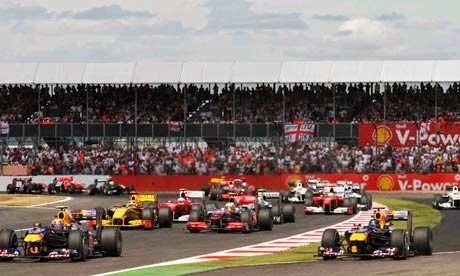 The funds from a sale of Silverstone would have helped to offset the fee though the BRDC is remaining positive. In a letter sent to members earlier this week BRDC chairman John Grant said that "forecasts prepared by the management team as part of the sale process demonstrate that results should improve over the coming years, and we expect the business to be profitable before depreciation in 2014." If this happens then it should clear up any doubt over the future of the British Grand Prix. However,if Silverstone makes another loss it isn't clear what source would be used to cover it. As Forbes points out, although many millionaires and several billionaires are members of the BRDC its structure as a club has meant that the directors have historically not approached them for funding. The BRDC's 2012 accounts show that it had just £259,000 of cash in the bank so that's not going to go very far either. An obvious source of funding to cover a loss would be more debt. However, it seems unlikely that this would be high on the BRDC's list of options given the lengths it has gone to in order to become debt free. There is also the question of how much money could be borrowed given that security would need to be provided for a loan and the BRDC has sold off its most valuable asset – the land surrounding the track. Indeed, as the BRDC has spent years trying but failing to sell its remaining asset it would be somewhat ironic if it became the security for a new loan. The reason for this is that the point of a loan security is that it can be seized by the bank if the borrower fails to repay the debt. The bank can then sell the security to try to recoup the money that it loaned. However, if an asset has failed to sell over five years then it raises the question of whether a bank would want it as a security. 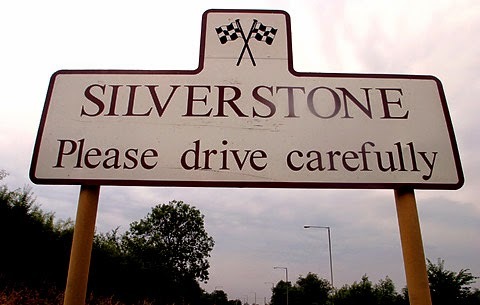 Silverstone's purpose is locked as a "venue for car racing and related activities" in the BRDC Members' Charter but it remains to be seen whether this restriction would still apply if the club was no longer the owner. If not then a bank might be happy for it to be used as security safe in the knowledge that if it had to seize the track it could level it and develop the land for residential purposes which would make a great deal of money. The very threat of this would almost certainly force the UK government into finally funding the track. Bizarrely, despite being the first round of the Formula One World Championship in 1950 the British Grand Prix gets no government funding. Even the planned Circuit of Wales has already received a £2m grant from the Welsh government which itself is funded by the UK government. The project recently attracted criticism as it is asking for a further £50m from the government but has refused to name its investors. Regardless of whether it gets £50m, the £2m that it has already received is more than the UK government gives to Silverstone which has been creating jobs and acting as a national flagship for motorsport for decades. It is certainly not a work in progress like the Circuit of Wales. The £2m alone could have covered the loss in Silverstone's 2012 accounts and in turn that would have reduced the doubt over the future of the British Grand Prix. There is no doubt that Ecclestone would love to have the UK government on the hook covering the fees paid by the British Grand Prix but 64 years after the first race it still seems unlikely that this will happen.